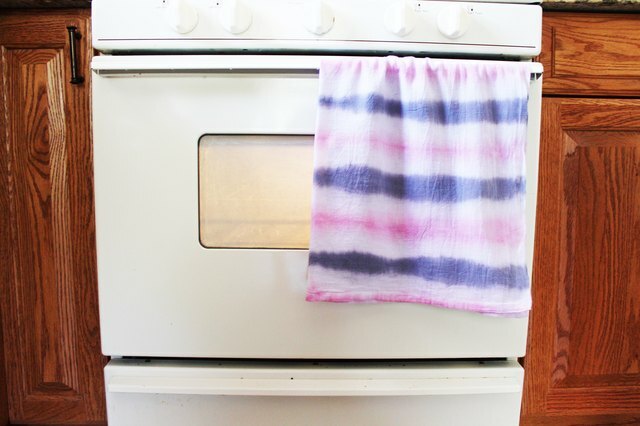 Tie Dyeing isn't just for T-shirts -- you can make vibrantly colored throw pillows and tea towels using the same techniques! 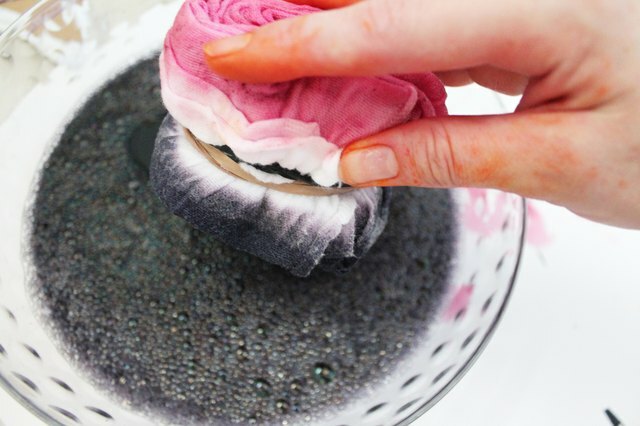 Try upcycling your drab pillow cases, tote bags and dish towels with rubber bands and Rit Dye. Dye can stain hands and clothes , so be sure to adequately cover your workspace and wear gloves. Consider working in a bathtub for easy clean up and dye disposal. After covering your workspace, mix the powdered dyes according to instructions on packaging in large plastic bowls or buckets. Mixing instructions change based on fabric content, and natural fibers like cotton take dye the best. Use rubber bands to section off your project for dyeing -- be sure to wrap them tightly around the fabric to keep dye from seeping through. Dip the tied bundle in your choice of dye bath and squeeze to remove any excess liquid. 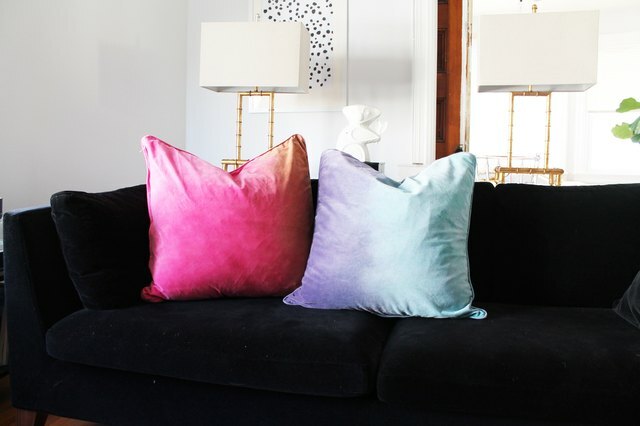 Repeat with additional dyes until you reach your desired combination of colors. The longer the fabric sits in the dye bath, the more liquid it will absorb -- keep this in mind if you want to keep certain areas free of dye. Fill empty spray bottles with dye for more detailed application. When you've finished dyeing your fabric, remove the rubber bands and rinse the fabric thoroughly in cold water to set the color. Machine wash separately on a cold cycle before using or wearing your dyed goods. 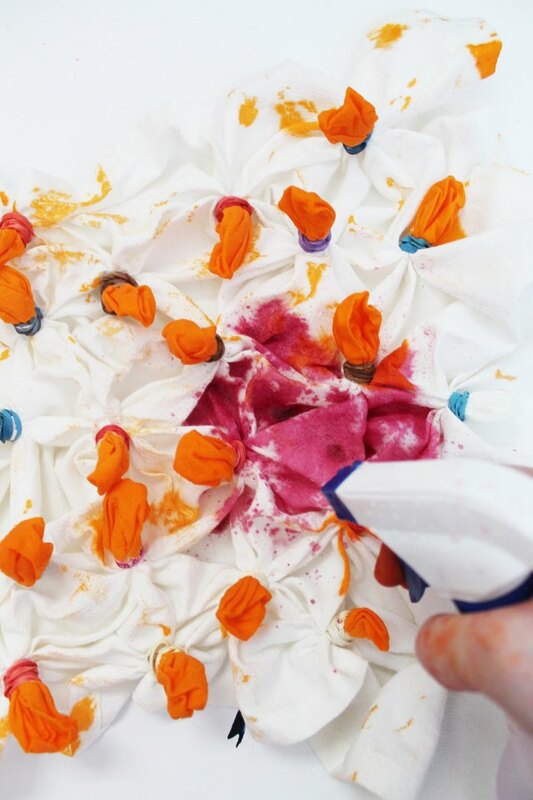 Pour any left over dye down the drain and rinse tub or shower immediately to avoid stains. 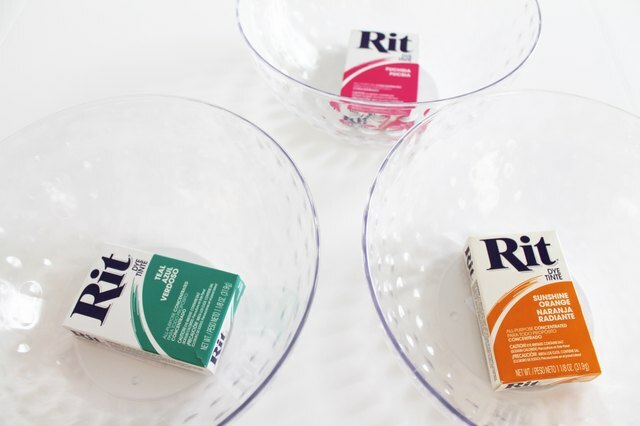 Skip the rubber bands and allow colors to blend into each other--creating an ombre effect. Maintain vibrant colors by only washing with cold water when necessary as colors may fade over time with repeated washing.